Before: More than 99% of traffic coming to the hotel’s website left without completing a booking. Sunwapta had tried using a pop-up with an exclusive offer to get more direct bookings. However, without a way to engage with site visitors to serve them better by understanding why they were coming and what they were looking for, Sunwapta wasn’t getting any results. 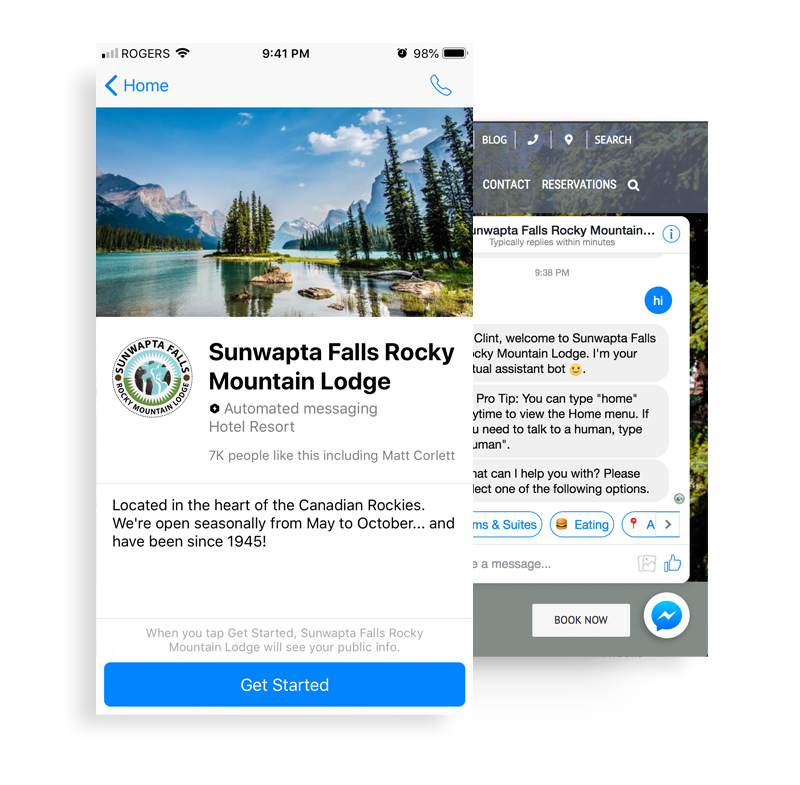 After: Sunwapta saw a 40% increase in direct booking conversion in their first month after utilizing the chatbot. 133 customer requests were automatically dispatched and 31 reservations were created which resulted in 68 room nights. We are a group of growth hackers, digital marketers and chatbot developers. What if I don’t have budget for a service like this? This is a business development service. This means that when you use it, you will get more customers – it’s a service that will give you an ROI. Think of it as an investment, not a cost. But we are giving you a free trial to try it out anyway, so you are not risking anything. You will get more qualified leads and happy customers. No, everything is month-to-month. We want our clients to stay with us because they are satisfied with the results we are driving, so if you are not happy, you can cancel at any time. What happens if it doesn’t work for you? We offer a 30-Day-Money-Back-Guarantee after your trial – if we can’t get you result, we don’t deserve your money. Schedule for a discovery call with one of our Growth Team members to talk about whether Messenger Marketing can work for your business.